The FIFA World Cup is on and the entire world is feeling the vibes, the goals, the tactics, the intrigues, the VAR controversies and more, for an observer of over five editions, this has to be best of them all. From USA '94 that was won by Brazil after that infamous Roberto Baggio ballooned penalty, this edition in Russia is arguably the most interesting for many reasons. Majority of the teams showed some quality, apart from Panama, no team performed extremely woefully over three games, although a few like Germany, defending champions who bowed out in a group they were expected to top with maximum points, not many from the crashed lots were expected to make it in the first place. We look at a few key points from the ongoing FIFA World Cup. It is fast becoming a norm, one that must be eradicated by whoever wins this edition, champions tend to struggle at the next edition and it’s been on since France failed to defend their title with a fight in Korea and Japan sixteen years ago. The French team of that year boasted of highest goal scorers from three leagues, Thierry Henry from the premier league, David Trezeguet from Serie A and Djibril Cisse from Ligue 1, they crashed out without scoring a single goal at the first round. Brazil were champions in 2002, they crashed out at the quarterfinals in 2006, by their own lofty standards that were underwhelming, they beat Ghana in the second round by 3-0, a result that didn’t necessarily reflect the game, they weren’t commanding and with the array of stars that they paraded, they were good to be called failures. Italy were champions in 2006 and need we remind you how they were dumped out of the group stage in 2010 in South Africa? Champions of that year, Spain were embarrassed by the Netherlands on the day the Flying Dutchman, Robin Van Persie lived in the air to lob a header past Iker Casillas, they didn’t survive the group stages with another loss to Chile. Just look at Germany, bundle of talents but zero effects, questions would continue to fly around about a certain Leroy Sane that was left out and the choice of Manuel Neuer in goal, they should answer to their fans, whoever win this year has some curse to fight, a course to take on. 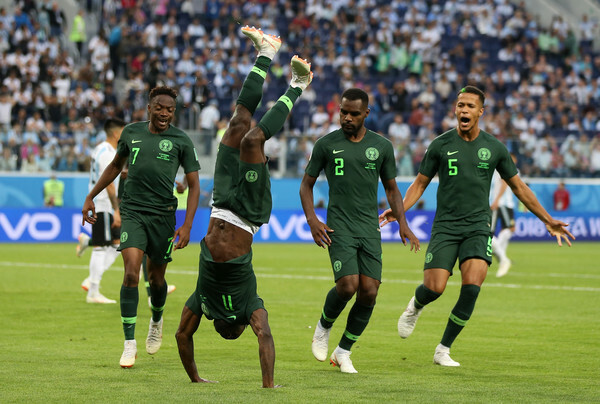 The hopes and weight of expectations around the African representatives at the ongoing FIFA World Cup in Russia faded with the final whistle on two separate grounds yesterday when Senegal lost to Colombia and Japan, despite losing to an already eliminated Poland, Japan qualified on fair play rule. 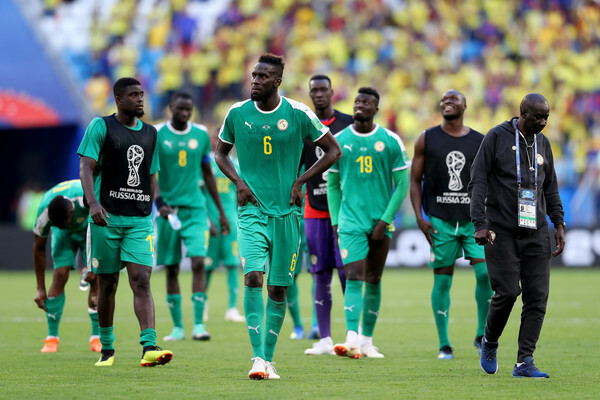 For the first time in the history of the tournament, qualification was determined by the number of bookings received and the indiscipline of the Senegalese team undid them. To be honest, Senegal lost the chance to qualify when they allowed Japan to equalize twice in their second group game; they were too casual and undisciplined... The paid for it gravely, Senegal garnered four points. Let’s talk about Egypt, enough of the Mohammed Salah excuses, the Pharoes let everybody down, their nation, their continent and themselves, they failed to sparkle, they played with fear and without purpose, weak in guts against Uruguay, toothless and piss poor against Russia and embarrassing, to say the least against Saudi Arabia. Saudi Arabia had only won twice at the world cup prior to the Egypt fixture, even for pride, Egypt failed. Morocco were wasteful against Iran, had chances and refused to convert, loss of concentration at the death cost them and their hard work against Portugal and Spain wouldn’t amount to anything. Tunisia pressed the self destruct button, whatever it was that Mohammed Ben Amour was thinking when he had the chance to clear the ball but refused to against England that led to the corner kick which Harry Kane scored from must be asked of him, it was always going to be difficult for the Carthage Eagles against Belgium but the fought well to salvage pride against Panama and registered a win. Nigeria lost out in their opener, they were lacklustre against Croatia, their habit of never turning up until the second half undid them, they did beat Iceland with a commanding showing but they didn’t get on the business until the second half too, had Iceland scored in the first half, it wasn’t going to be the same. Maybe officiating could have been better against Argentina, maybe the referee left too many questions to be asked, especially with the penalty appeal and the Marcus Rojo goal after an obvious handball, it can’t be acceptable for Africans to call out the conspiracy against the continent, Germany crashed, they could have been favoured... Come on. The sights of Manuel Neuer trying to fill up the Leroy Sane void on the left wing serves a good comic point; he was dispossessed while trying to compete for the ball that high up the field, you can understand for him, he’s the skipper and he needed to take responsibility but that was way out of order; sweeper goalkeepers are the vogue thing, but the situation was not from a corner kick, with six minutes extra time to play and trailing by a goal, Neuer wanted to help out with goals, he became the laughing stock. 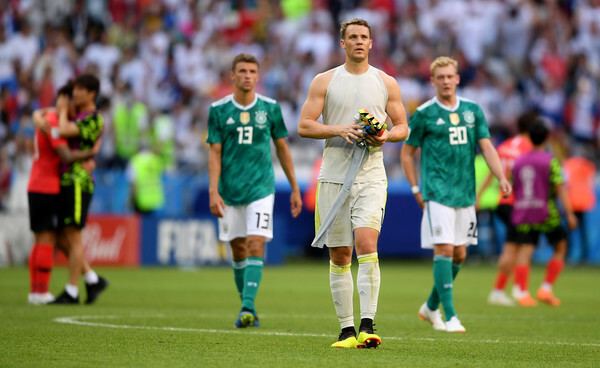 Talking Germany, whatever went wrong with them must be analyzed, their refusal to harmonize experience with competent youthfulness ruined their beautiful script, they weren’t the first favourite to fumble, but they were the least expected to capitulate that early, shame. 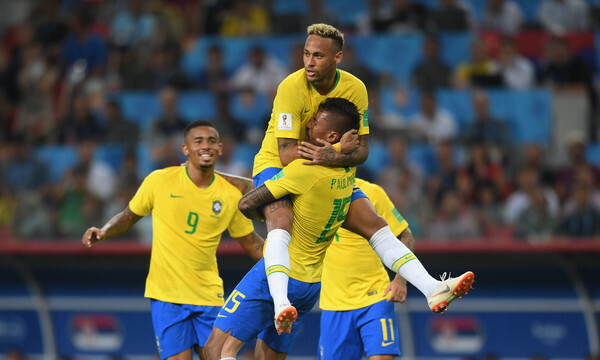 France and Brazil are obvious favourites now but they both haven’t lived up to the quality in their squad, Le Bleus laboured hard against Australia, were troubled by Peru and settled for a point against Denmark. Brazil could have told a different story had Costa Rica managed a goal before Coutinho broke their hearts in the dying moments, one can’t nail a team to triumph, maybe Belgium but we see as things evolve. Panama were the worst tacklers, very undisciplined, they probably felt they were here to play rugby and they were duly punished; let’s talk about Japan’s unprofessionalism towards the end of their game against Poland, they were trailing, they could have won the group with a win and avoid Belgium, they opted to pass the ball around in their own half without any fight. That’s not what we want to see at a World Cup, we’ve seen far more competitive training sessions than that and one can only wait for Belgium to show them how to do things at the second round.